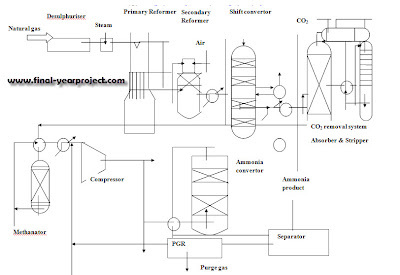 This is a good Chemical Engineering final year project on plant design for manufacture of ammonia (gas based) and was submitted towards partial fulfillment of the requirements for the award of degree of bachelor of technology in Chemical Engineering. 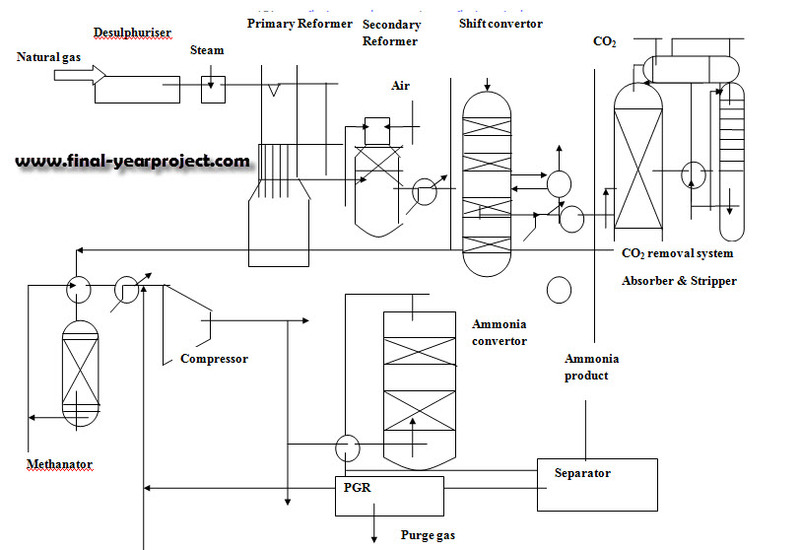 The report then describes the various processes that are available for its manufacture and then deals with the basic raw materials required for the ammonia manufacture i.e natural gas. You can also Subscribe to FINAL YEAR PROJECT'S by Email for more such projects and seminar. Report also covers the important aspects of process selection and the selected process is described in detail along with the relevant equations and flow diagrams. After this, report incorporates a detailed material and energy balance of the process selected and also gives a list of the sizing of the equipment in the flow diagram according to the capacity. This is followed by a detailed chemical and mechanical design of some important equipment. Use this report for your reference and study work.